Note: I also recorded a followup episode answering the most common questions. First Thing’s First: Why A Portrait Party? When done the strategically, a portrait party can be a single, powerful event that can transform your photography business and change the way people look at you. Along with clients and credibility, it can also bring you respect within your community. You can potentially become known as that “cool, innovative photographer” who is shaking and moving things. But let’s get this straight. I’m not talking about any old portrait party, because an ill-planned party can turn you into a commodity. Think about how many tupperware, makeup, and cooking home parties there are out there (no offense), and take a moment to analyze the feeling you get when someone invites you to one of those. Perhaps you look forward to it as a generally warm fuzzy experience amongst friends, but rarely is it the type of event that makes you think the sales person is doing something new, exciting, or innovative. It’s a pretty well-known fact that every other person on the planet (or at least, in the U.S.) seems to be throwing some type of party to sell some type of product, and many of them are doing it the same way. So when your own portrait party sticks to the status quo of the zillion parties already out there, you automatically categorize your services as a commodity. Ouch. But don’t you want to be different? I did, so I sought to make mine different. Here’s my personal portrait party story: On top of moving to a new town, I’d unknowingly decided to make my life even more difficult by switching my photography business’s focus from family portraits over to corporate photography. Call me a glutton for punishment. Never mind the fact that I had hardly any local contacts, or even a portfolio of existing corporate work (all I had was past family portrait work). In a nutshell, I had no clients, no income, and a non-existent corporate portfolio to boot. It’s a known fact that you get the type of work that you show, so my existing family portrait portfolio from the last handful of years was suddenly rendered virtually useless to me. I began doing what everyone does who is thirsty for new clients: I began attending networking events. 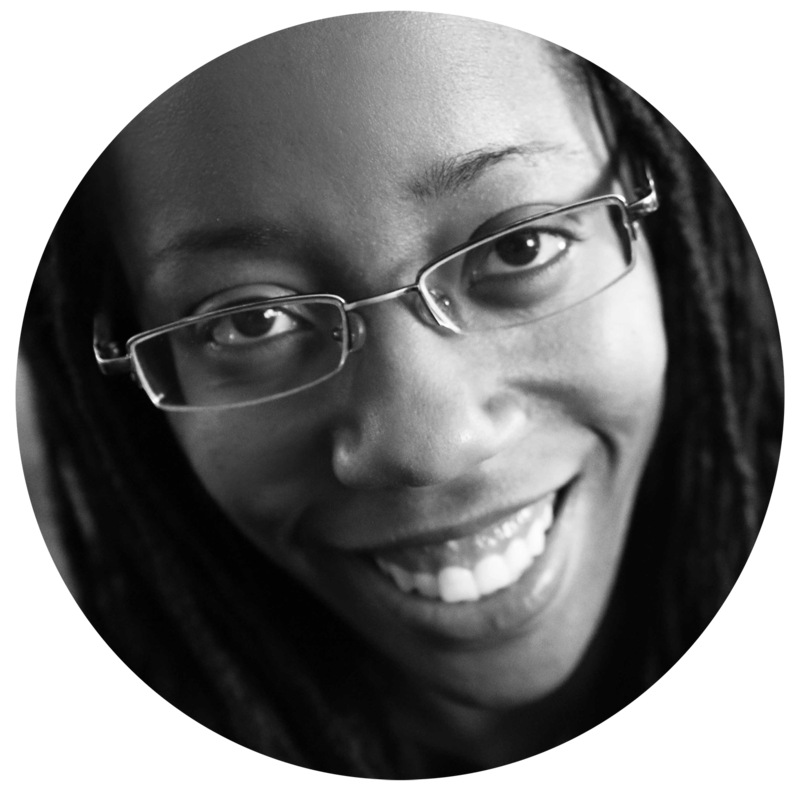 After months of floundering around and attending networking events, I realized that people were slowly getting to know me as yet another photographer handing out a business card, but the jobs still weren’t coming in. The process was slow, often awkward, and sometimes quite painful. So then I decided to do something different. I decided to throw a portrait party as my “debut” into the city, but I didn’t want it to be like every other portrait party. I wanted it to wow people, and be seen as an exclusive event. I wanted there to be a buzz about it, both before and after it happened. I wanted to become known as the photographer making a splash and putting her business out there. I also wanted my awesome photo work to circulate the town in the form of portrait participants who had been truly impressed by the experience. In short, I wanted it to be extremely, totally cool and memorable. Very scientific, eh? I was operating more out of gut feeling than anything else, but it felt like the way to go. Would it put me outside of my comfort zone? Without a doubt. The decision to throw a party was a terrifying one, especially for an introvert like me (seriously! ), but I felt I had no other choice. So I took the dive. I let the nebulous, yet trusty feeling in my artistic gut drive me. Having no studio or commercial space of my own, I arranged to have the party in a colorful event space in town. I figured the location alone would be enough to let people know I take myself seriously. I also had it very lightly catered, and pre-set the high quality, built-in sound system to play tasteful music in the background. As curious guests arrived, they were greeted by a dynamic space, creative setting, elegant food, light music (which also helped fill any awkward silences) and a bonafide photographer’s studio lighting set up and ready for headshots. On a couple large white boards, I’d written down the “Schedule of Headshots”, so after circulating and chatting a bit, I got to working. The evening flew by. While I was busy taking photos, people chatted, networked, ate, and watched me at work. About half of the attendees were getting headshots from me, while the other half had just shown up to check things out and see how I operated, which was perfectly fine. People have to trust you before they give you their hard-earned money, and some take longer than others. Afterwards, I began circulating photos of the event on social media. I even put together a cool, less-than-two-minute video of the event, complete with music, and posted that on Facebook, and also my website. People really seemed to respond to that video. The wonderful thing about this footage was that it continued marketing the “coolness” of the event even after it was over. Perception is powerful, so it’s important that potential clients perceive you as someone who is a mover and a shaker. I’m pretty sure we can all agree that having immediate income come in is a definite benefit of throwing a portrait event. That’s all well and good, and helps pay those immediate bills. However, I would argue that your goals should be more extensive with your portrait party. In short, it’s about more than money. It’s about building credibility and getting noticed. It’s about being seen as an influencer in your community. It’s about showing that you downright care about your community. It’s also about building a list of warm contacts for future business. A strategic, well-executed portrait party can bring you status in your community and establish you as a thought-leader. 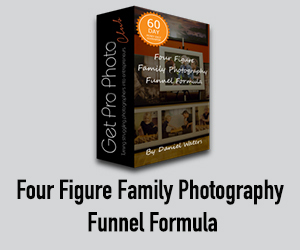 The goal is to stand head and shoulders above the other photographers in your area. Previous to my decision to throw a party, it became apparent to me that many of the area’s small businesses needed updated headshots, but seemed to be putting it off because they didn’t seem eager to carve out time for an experience that was rarely considered thrilling (getting their photo taken). So when I began spreading the word, I made sure to mention that this would be a fun event, with food and light music, and that participants would get a polished, highly professional headshot at a very promotional price. 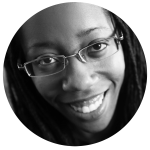 At this point, I’d been working the business networking circuit quite a bit via my local Chamber of Commerce and BNI (Business Network International), so I began to putting out my feelers to see who was interested. Once people saw the price, heard how much fun it was going to be, and got wind that it would be at at an actual event space, I began to get verbal “yes’s” that they would attend. After getting about ten verbal confirmations, I set a date and created a cool 8.5 x 11 flyer to begin handing out to everyone, with instructions on how to sign up. After making it known that, while the event was open to the public, the slots for actual headshots was limited, I began to get confirmations and payments from people who wanted to make sure and reserve their spot. And as the spots filled up, I posted updates on social media once and a while about how excited I was. This showed that I was both pumped and in demand. Once the available spots filled up, I was still getting requests for headshots! I told those folks that they should still come and check out the scene, and that I would put them at the top of the list for my next party. I have to admit, it felt good to be in demand for a change! One thing I learned is that inviting influencers to your party is powerful. Having them attend as a bystander goes a long way. And if you’re able to get them to sign up for an actual headshot, you then get them in your portfolio, which means you will have recognizable faces in your portfolio when you’re showing your work off to other people. That goes a long way towards convincing future clients of your credibility. For my party, as soon as I heard that the mayor was planning on coming, I posted on social media about how thrilled I was (because I genuinely was). It definitely helped raise the general level of excitement. And while she didn’t get a headshot, she was still in the general footage that I had my assistant take. Trying to get the mayor won’t happen for everyone obviously, but there are still other influencers you could go for. Think about those people who are known for being involved in your community, and invite them to your event. To this day, when a potential client from my community asks to see my portfolio, they almost inevitably recognize a general acquaintance, colleague, someone they know of, or even a friend. This increases trust, and continues to build your credibility. This tip didn’t even dawn on me until nearly a year after my first party, when an organization approached me about it. I eventually realized that a portrait party can be a great way to give back and raise money for charity. In addition, it gives you a marketing boost because the organization/charity/cause that you are partnering up with has an incentive to spread the word for you. The more people that attend your party, the more that organization benefits. So how do you do this? Reach out to an organization that matters to you. 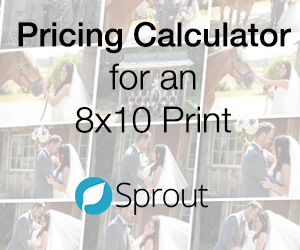 Offer to give back a certain percent of each portrait session fee to them. In my case, I had an organization approach me with the idea of doing a headshot party for their women, who were all professional and involved in the community. They would recruit the women, supply the food, and even collect the pre-payments for me. I would supply the location and the photography. I even offered to design a sleek flyer for them, which I co-branded with both their logo and my own. I hate to sound lazy, but for this particular party I didn’t have to do any marketing at all (beyond designing the flyer). None. A week or two before the party, I asked for the names and emails of the women who had signed up, and I sent them a few preparatory emails to build excitement. The night of the party arrived, and we had over a dozen giddy women arrive. Needless to say, it was an absolute blast! There were portraits, there was sushi, and there was wine! At the end of the evening, I happily wrote out a check to the organization. While I can’t guarantee that every organization will do all of the marketing for you, they will at least be willing to help in most cases simply because they have skin in the game. And let’s face it: people are more apt to buy from those who show that they care about the community. Plus, it’s just darn good to care about your local community. Don’t Turn Yourself Into a Commodity. Stand Out! In my humble photographer’s opinion, the last thing you want is your party to be grouped in with other common types of “commodity party products”, such as tupperware parties, makeup parties, etc, where people are just trying to sell stuff at you. (No offense to those products, I’m just staying). You could use an event space or hall. You could rent a conference room in a hotel. If you have commercial space, such as a studio, you can hold it there. While you may think the goal is to get as many people as possible crammed into your event space, I would argue that’s not the main objective. If it’s too crowded, people may get uncomfortable and cranky. Rather, you want the right amount of guests for your chosen event space, and you want to make sure everyone is having a good time. Not only do you want to be able to personally interact with your guests, but you want them to comfortably interact with each other. Getting folks signed up for your party is only half the battle. Keep in mind that although they willingly raised their hands to attend your function, they will almost always have feeling of uncertainty and anxiety mixed in with their excitement. That’s why it’s your job to motivate them through several well-timed, well-written emails. I recommend you send your first “What to expect” email a couple weeks before your party. This email can include information such as: a schedule of the evening’s event, where to park, and what to wear. If you can, even include a quick photo of the event space, just to ease the anxiety of the unknown even further. In the following email, mention how excited you are, and that the general buzz is one of anticipation. Also, offer to answer any questions they might have. Send your final email the day before the event, and again mention how excited you are. This one should be the shortest. At your party, you will most likely have two types of guests: those that are there to get a portrait done, and those that showed up just to check things out and eat the free food. You must treat both like rock stars. Whether someone is there to have you do their portrait or not, they will all be exposed to your charms first hand. I can’t stress the power of meeting someone face to face. At my party, only about half of my guests were getting headshots from me. The other half showed up just to check out the scene — and about a quarter of those contacted me in the weeks after the party to schedule full-priced sessions. They were already familiar with my work, and liked me. When the need arose for portrait services, they thought of me first, which is what you want. It’s perfectly fine to have people attend your party who are NOT getting a headshot. Sometimes they just need to check you out first. Okay, okay, keep your pants on. But seriously, if you’re going to go through all the trouble of throwing a portrait party, then it’s imperative you document that it happened in the first place. Don’t ever let anything go to waste. For my party, while I was busy taking headshots, I had my assistant circulating and taking photo and video footage of the event. Prior to the event, I explained to her what type of footage I wanted, and also requested that she take video footage of me interacting with clients. After the event, I retrieved the footage from her and had priceless material for future promo videos. Was the evening properly documented with photo and video footage? Did you get a chance to chat with everyone? How many contacts (names + email addresses at minimum) did you collect as a result of the event? (These are the people you will be putting into your newsletter long term. 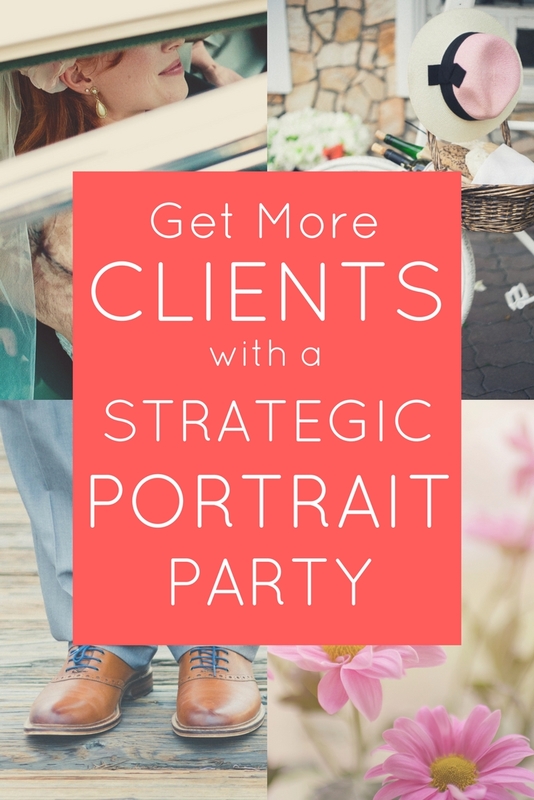 A quick word of caution: don’t throw portrait parties too quickly, or else people will learn to wait for your parties, when they can get a discounted rate. Instead, you want people to get familiar with you enough to order your full sessions. As far as the frequency of your parties, I generally recommend roughly once a quarter. My promo “headshot party” fee: Because I was new to the area and had little portfolio or social proof to speak of, I charged $50/person, which is quite a discount from my normal headshot pricing. I made this quite clear over and over again, ad nauseam, so folks would not expect the $50 on a normal day. Time slots: My time slots were 10-15 minutes each, although I left a 20 minute slot in the middle of the party open so that I could have a snack and potty break. I shot about 12 people at that first party. 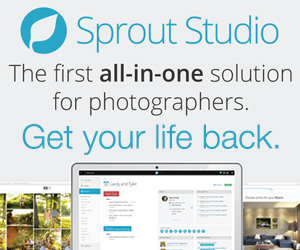 Without a doubt, throwing a strategic, well-planned portrait party can kickstart a newer photography business, and breathe some life into one that is struggling. 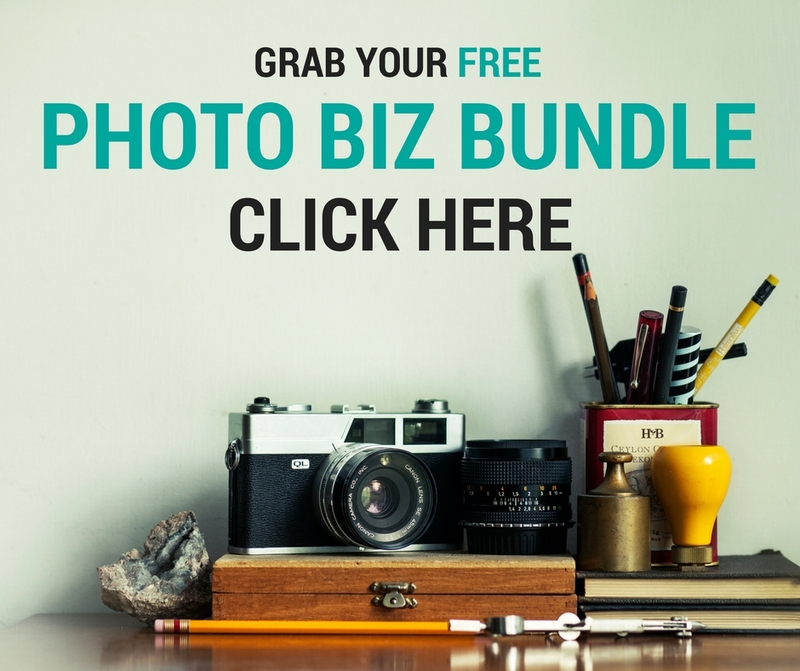 As I mentioned, it can fill your portfolio with great images, bring you immediate income, future income, and buzz around your local area about how awesome you are. Consider throwing just one, and see what happens. Put them in the comments below, and I’ll do my best to answer. Check out my free training video here. 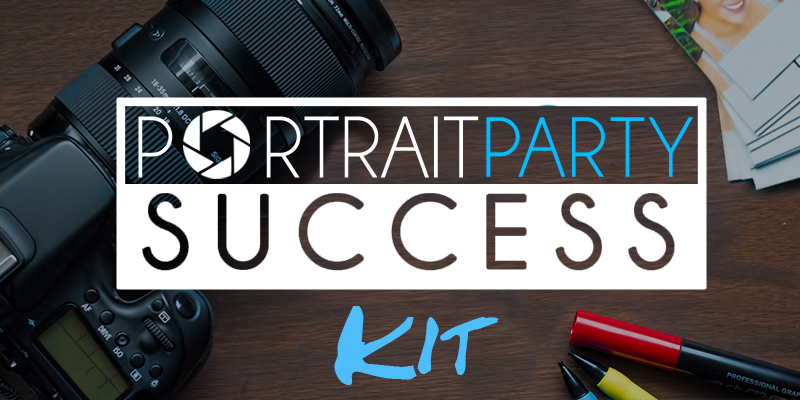 Have you checked out Part 2 yet, where I answer the most common questions I get about throwing a Strategic Portrait Party? If not, check it out here!